Autodesk, best known for its robust 3D modelling and animation software such as Maya and 3D Max, has come up with a nifty image enhancement tool called Pixlr-o-matic for smartphones. 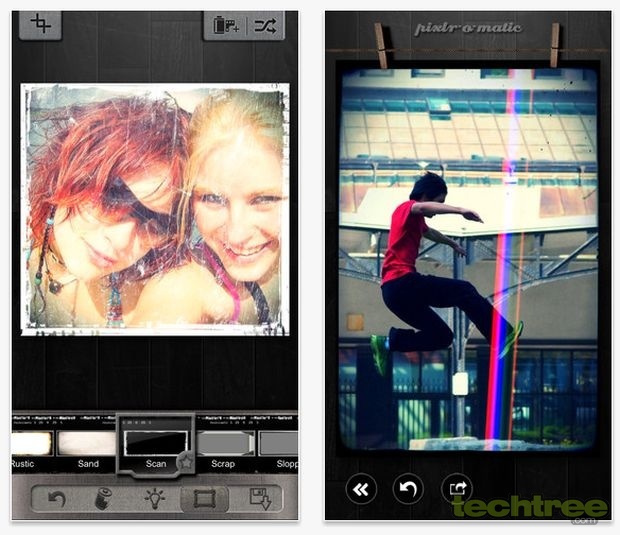 The app allows you to either play with the existing images or snap a new one. It offers multiple effects, editing options, overlays, and borders. In short, it covers everything from the vintage look to funky light effects. If you want variety, you can always download more filters. Unlike other existing image editing apps, this one uses the device's default camera UI instead of forcing you to get acquainted with its own. All in all, the Pixlr-o-matic is a must have app for shutterbugs: It offers more filters than the extremely popular Instagram. More importantly, you don't have to register an account to use this app.